Japanese fried food dish fits into several hot culinary trends. Katsu, a widely popular fried food dish in Japan, has charted a global path to become an increasingly popular restaurant menu item in the U.S. as well. 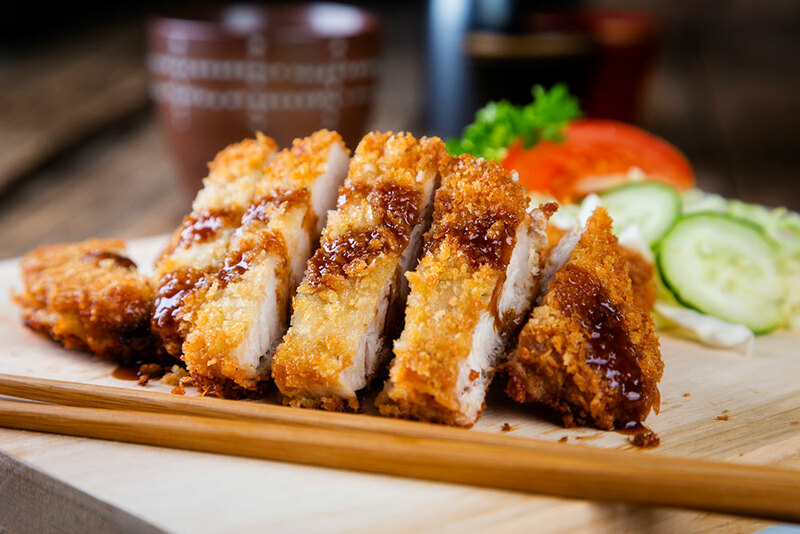 Mentions of katsu on U.S. restaurant menus are up 5 percent over the past four years, according to Datassential, which notes that 20 percent of U.S. consumers have tried it. served with vegetables atop a bowl of rice with a tangy-sweet sauce. smothered in an Indian or Japanese curry sauce. made into a multi-textured sandwich with soft bread and crunchy cabbage. 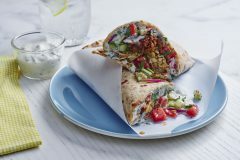 The dish, which is often adapted for Western tastes using regional flavors or ingredients, fits perfectly into several current food trends, including the growing popularity of fried foods, the interest in bowl-based dishes, and increasing awareness of global cuisines and flavors. Using fresh, high-quality ingredients is an important aspect of katsu preparation. 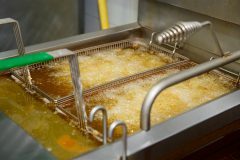 The frying oil is also key — premium oil with a neutral flavor is recommended, heated to 350 degrees and kept clean to ensure proper coloring and texture of the katsu. Well-made katsu will not soak up the oil, but will instead wear the golden-brown coat that the oil provides as a crispy, flavorful gift, according to culinary experts. Following are some of the ways katsu has been adapted for Western restaurant menus. Katsu curry is Japan’s most popular dish, says Steve Mangleshot, executive chef at wagamama, the London-based chain that has been expanding its U.S. operations. Wagamama’s version reflects the curry tradition that is popular in both the United Kingdom and in Japan. “As Japanese and Asian cuisine continues to grow, so does the demand for katsu curry,” he says. Wagamama sells about 3.5 million orders of its Katsu Curry — made with chicken or vegetables — each year in the U.K. alone, and it is the No. 1 dish at its locations in New York. “Whilst a traditional katsu curry is mild and thinner in consistency, ours is rich and velvety, with an aromatic flavor that you would expect from an Indian curry,” says Mangleshot. He cites the crispy panko coating as one of the keys to the success of the popular fried food dish, along with the “silky and fragrant” sauce. It is served with sticky rice and a fresh salad. Experts note that by using clean-tasting, quality frying oil, not only does it ensure the katsu is fried properly, but it also works to prevent off-flavors from entering the food, which could detract from the flavors desired from the seasoning and sauces. At wagamama’s newest location in the Murray Hill section of New York — home to a bevy of Indian restaurants — the company is offering Hot Katsu for a limited time. The dish is a spiced-up version of its traditional Katsu Curry, says Mangleshot. While katsu is traditionally served in entrée-style preparations such as rice bowls and curry platters, the breaded, deep-fried cutlet has also become ubiquitous in Japan as a sandwich, or, as it is called there, a “katsu sando.” The sandwiches have become an increasingly popular option on Western menus as well. 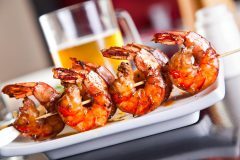 Some U.S. restaurants Americanize the dish to make it more approachable. Katsu Burger in Seattle, for example, blends Asian and American elements in its extensive menu of katsu sandwiches. “Katsu is a Japanese comfort food, and the American cheeseburger and fried chicken sandwich are American comfort foods,” says Poetter of Katsu Burger. “So our concept is basically a multi-cultural, comfort-food burger. Poetter says Katsu Burger puts a lot of care into prepping the meats for its sandwiches. The pork loins are hand-trimmed, tenderized and marinated before being coated in cage-free egg tempura batter and dredged in high-quality Japanese panko. 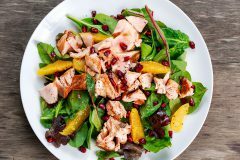 Chicken and beef varieties are also made using high-quality ingredients and prepped to ensure tenderness and flavor. “We have a very extensive process in preparing the katsu before it even goes into the deep fryer,” he says. Katsu should be cooked in clean, premium frying oil, heated to 350 degrees, for about five to seven minutes, culinary experts suggest. 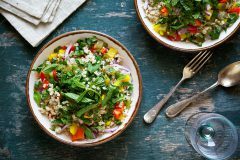 When cooking foods that have special seasoning or are more delicate to fry, it is important to use oil that won’t break down too fast, which can compromise the eating experience you are seeking to provide. Katsu Burger is perhaps best known for its giant, photogenic katsu burger creation called Mt. Fuji, which has been featured on several cooking shows. It includes all three katsu meats along with a fried egg, bacon, three types of cheese, two types of mayo and tonkatsu sauce. American restaurants from food trucks to fine-dining venues have created katsu variations that often incorporate other international influences or ingredients. At Ferris in New York, for example, the Iberico Katsu Sando is made with a tender cut of Spanish pork, while other operators are experimenting with katsu made using high-end wagyu beef. Katsu fried food dishes have been especially popular on the menus of restaurants in Hawaii, according to Datassential, and have traveled to the mainland via that route as well. Austin, Texas-based Alley Cat, a food truck offering “Hawaiian comfort soul food,” menus a Katsu Sando made from a panko-breaded pork cutlet with tonkatsu sauce and cabbage, served on Hawaiian bread. However operators choose to interpret katsu, it’s clear that the dish can add on-trend crunch and international flair to the restaurant menu.